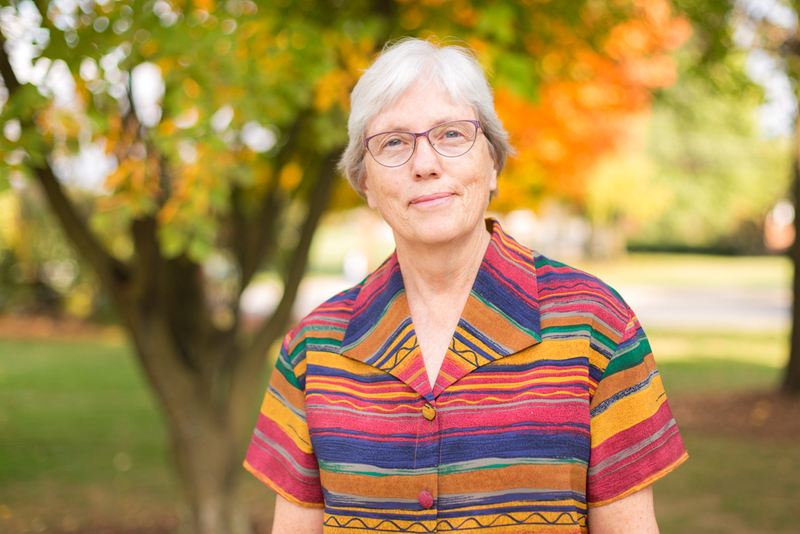 Professor Ann Graber Hershberger ‘76, who began as assistant instructor in the nursing department at Eastern Mennonite University and served in several influential leadership roles over 33 years of service, will retire June 30. 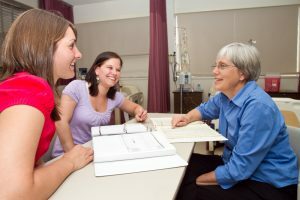 Within the nursing department, Hershberger chaired both the undergraduate (interim) and graduate programs, developed and updated the foundational “Sacred Covenant” model of nursing, led an enrollment expansion in 2004, and proposed two new degree programs — the accelerated second degree and the Master of Science in Nursing (MSN) degree — that would position EMU as a top regional provider of nursing education. Hershberger’s nursing department colleagues, nursing department chair Melody Cash and MSN program director Don Tyson, recognize her as both a mentor and a consummate professional, devoted to advocating for the most vulnerable, to seeking challenging and transformative experiences for EMU nursing students, and for elevating the departmental discourse around public health issues and challenges, among many other contributions. Hershberger’s impact on the entire university has been no less substantial. She moved through the academic ranks to full professor in 2002 and in addition to teaching and leadership responsibilities within the nursing department, was tapped for leadership roles as core curriculum coordinator, director of the Humanitarian Action Leadership program, and finally, her current role as director of the cross-cultural program. Additionally, Hershberger contributed to several innovative initiatives, each of which have shaped the university’s core niche as a unique, Anabaptist-rooted liberal arts institution. She helped to launch the cross-cultural program, a core curricular requirement for all undergraduates; chaired the faculty committee to launch the graduate Conflict Transformation Program, now the Center for Justice and Peacebuilding; and provided leadership to several undergraduate general education revisions. Professor Ann Hershberger speaks with students during orientation for the Masters in Nursing program. It is to MCC that Hershberger will devote the next few years. She recently accepted the newly created position of interim associate director, and will help Executive Director J. Ron Byler lead the organization during MCC’s centennial activities over the next 2-3 years. Hershberger has served on MCC boards since 1996, including 10 years from 2009-19 as board chair of MCC US. She served with her husband Jim as MCC representative in Nicaragua from 1985-90 and again in 1999-2000. Her first service with the organization was in 1983 in El Salvador. 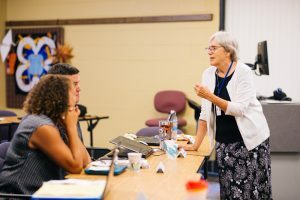 Current and former students appreciated Hershberger’s role modeling and mentorship, pointing out that her words and actions has always shown genuine care, authenticity and intentionality. Maria Yoder, a senior biology major, travelled to Guatemala and Colombia with Hershberger as a sophomore. Yoder and Hershberger were co-investigators on a diabetes research project in Guatemala and travelled together to present at the fall 2018 American Public Health Association national conference. “Without the experience, motivation, and guidance from Ann, I never would have thought I was capable of carrying out the research with Concern America. And that’s the beautiful thing about Ann — she is a natural teacher because she cares about the end product, not her own personal glory. She has hopes for this world that extend well beyond her lifetime and knows that teaching a younger generation is the best way to create a lasting impact. Tessa Gerberich Hershberger ‘13 [no relation], a nurse care coordinator for the women’s health and prenatal care program at Harrisonburg Community Health Center, still speaks with her former undergraduate advisor frequently. She says Hershberger has had a lasting influence on her own practice of nursing, from nursing clinicals at EMU to her postgraduate Serving And Learning Together (SALT) term in an HIV/AIDS clinic in Nigeria and her transition back into the U.S. health care system. Ann Hershberger will be recognized at a reception on campus in late April. Any appreciations offered in the comment box below will be passed along to her. Ann and Jim were my cross-cultural leaders in 2013. It was a truly life-changing experience, in large part because of their exceptional leadership, wisdom, and encouragement. And Ann was the one who encouraged me to step way out of my comfort zone and travel across the world to Bangladesh for a year in MCC’s SALT program. She believed I could do it, and that made all the difference. Ann was instrumental in who I became as a health care provider. Her leadership, her community engagement and her human kindness. I hope her spirit will continue to live on in how academics are realized in institutions like EMU. She is leaving many gifts behind that persons will continue to benefit from on their education journey. As the song once said…”they don’t make them like they used to”! Ann, a job well done! Thank you for your continued mentorship into many aspects of my career as a nurse for the last 30 years.